Author: McGuire, Christine Set In . . . 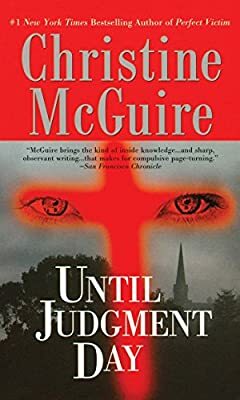 Description: Kathryn Mackay is on the hunt for a serial killer who targets Catholic priests in this thoroughly modern thriller by New York Times bestselling author and veteran prosecutor Christine McGuire. Kathryn Mackay has had her share of triumphs and tragedies throughout her career in the California District Attorney's office. In and out of the courtroom, she's seen the best of times -- such as her marriage to Santa Rita County Sheriff Dave Granz -- and the worst of crimes, including the ones she's currently investigating: the serial murders of three local priests during the Christmas holiday season. Now it's up to Kathryn to stop the killer before he makes his final judgment....But with the specter of sexual abuse and money laundering hanging high above the Church's spire, few individuals are willing to offer their confessions. So it's up to Kathryn and Dave to break the silence and learn some impossible truths -- including a devastating one of their own.